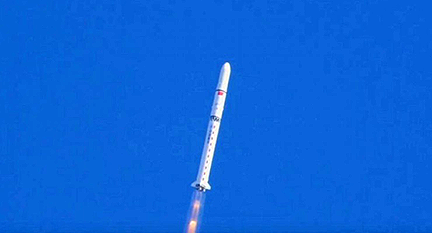 A Chinese Long March 2D rocket launches and carries two Saudi satellites to orbit. Photo is courtesy of Almowaten. Two Saudi satellites were launched on Friday, December 7, from China via a Long March 2D launch vehicle from the Jiuquan Satellite Launch Centre in the Gobi Desert. The SaudiSat-5A and SaudiSat-5B remote sensing satellites have been developed and manufactured at the King Abdulla City for Science and Technology (KACST). 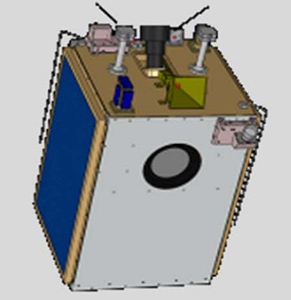 These are the second generation of Saudi-made Earth Observation (EO) satellites and replace the SaudiSat-2 (launched in 2004) and SaudiSat-3 (launched in 2007) remote sensing satellites, also manufactured by KACST. More than 120 Saudi nationals who specialize in mechanics, telecommunications, digital engineering, energy, control systems, programming and fiber participated in developing and manufacturing the two, 200 kg., high-resolution EO satellites. The launch of the two new satellites is part of the Saudi Vision 2030 that aims to transfer strategic technologies, maximize local content and empower Saudi youths to grasp advanced technologies in the development and manufacture of satellites. KACST has now launched 13 satellites and is participating in the Chinese-led Chang’e-4 Lunar exploration mission. Story sourced from GDN Online.